In this braised dish my favorite winter flavors come together in a sweet and slightly sour symbiosis to make a cold snowy day brighter with color and taste. 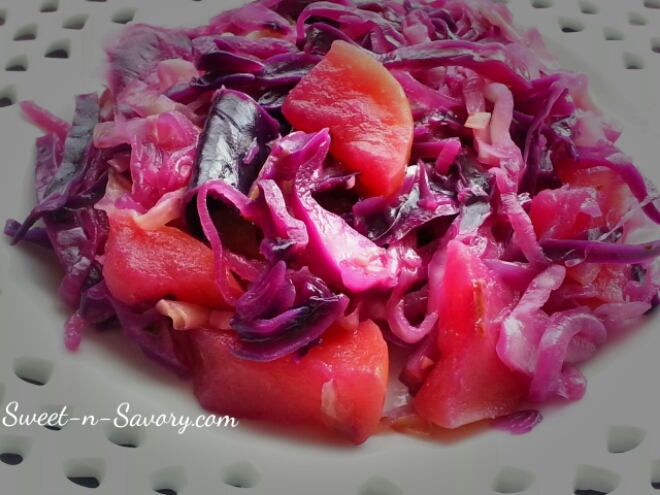 Red cabbage lends a beautiful color and crunch, fiji apples add their unique sweet flavor and wonderful aroma, while onions, apple cider vinegar and honey mesh the flavor for a marriage made in heaven. 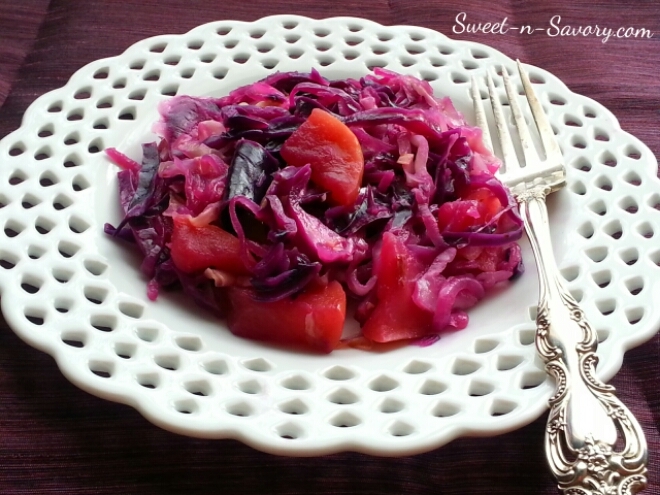 It’s perfect with roasted meat or poultry. Add cabbage to onions and apple, saute for about a minute and add the apple cider mixture. Stir together and cook until all the liquid evaporates.